The Sydney suburb of Erskineville prides itself on being design-savvy with an industrial edge—and Erko Dental fits right in, discovers Kerryn Ramsey. The inner-city Sydney suburb of Erskineville is often referred to as a village due to its community feel, diverse eclectic population and string of shops, pubs and cafes. It has an arty, slightly left-of-centre vibe and revels in its uniqueness. 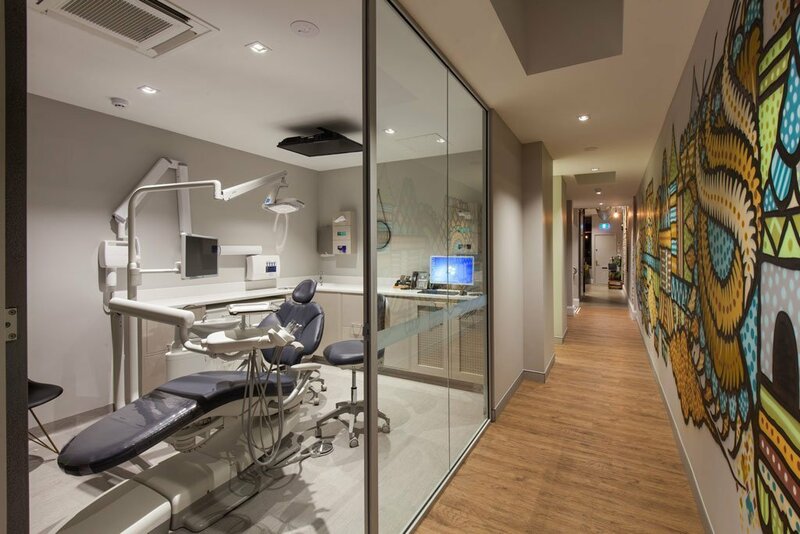 Erko Dental opened in 2014 and fits in beautifully with Erskineville’s edgy atmosphere. Owned and operated by the husband-and-wife team of Drs David Leong and Angela McCarthy, the practice happily breaks with design convention. To create their dream practice, Drs Leong and McCarthy employed Antony Poate of Antony Poate Design to design the layout. The existing building was a two-bedroom-and-study residential terrace with a number of architectural features they wanted to keep. As the structure is long and narrow, there were only a few options in regard to positioning the rooms and incorporating necessities such as staircases and disabled toilets. The design of Erko Dental utilises the existing space beautifully with the ground floor of the terrace as the heart of the practice. Large glass windows overlook the street and the front door opens into the reception/waiting area. The flecked concrete floor has been polished to a high degree and the receptionist sits behind a pressed-metal divider. One entire wall of the waiting area is a chalkboard covered in artwork and quotes that change regularly. If the practice expands, there is the potential to add another surgery by converting one of the upstairs rooms. One nice surprise was the local council’s attitude to car parking. Many councils try to gain lots of off-street parking when any new business is proposed. However, most inner-city councils now understand and accept that creating extra car parking is simply impossible. “Erko Dental has one space at the back of the building and the council said that one space is a maximum rather than a minimum,” says Poate. The feel of the practice is industrial chic with plenty of personal, almost eccentric, touches. The design celebrates the original building with many areas stripped back and exposed to create a link to its origins. “The mix of finishes and materials means that it doesn’t feel cold and hard,” says Poate. The whole build only took four and a half months and proceeded without any major problems. While there’s always extensive plumbing, electrical and drainage issues associated with such a build, the project was only a few weeks over time.